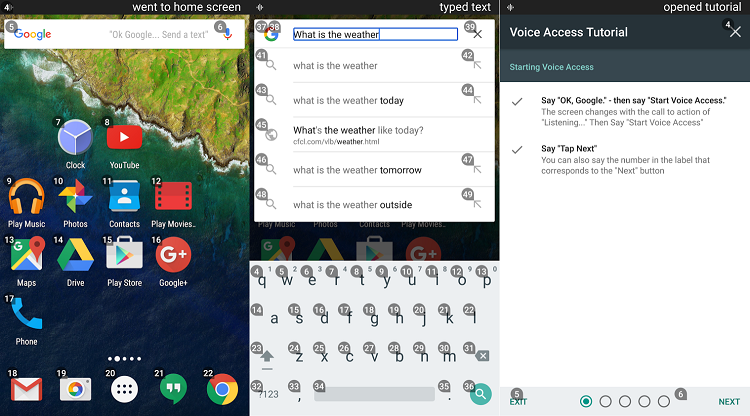 Google Voice Access Beta is a new accessibility app that allows users to control their phone using their voice. It’s designed to let people with disabilities take better advantage of core Android functions in a hands-free manner. With Voice Access, you can use a wide variety of voice commands. It also incorporates a numeric system, so everything from apps to drop down menu options will be assigned a number you can say aloud to perform a task. The company says it’s also introducing a new version of its text-to-speech navigation software for Chromebooks, as well as bringing voice-based editing to Google Docs. Google Voice Access is now available in Beta. Google says it should be released as a free Play Store app at some point in the future. Instructions at Here. You’ll need to enroll in the testing program for the unreleased version of the app, after which you’ll be able to download it from the Play Store here for free.